For the third year in a row the West Coast is experiencing an unprecedented amount of sea lion pups being washed to shore sick, starving, and for some, too late. This year is particularly severe, with around 2,000 pups found so far, maxing out marine mammal rescues—and the season isn’t over yet. In a teleconference with the National Oceanic and Atmospheric Administration, Justin Viezbicke, NOAA Fisheries Stranding Coordinator, stated, “We are significantly above average,” with marine mammal shelters triaging to accommodate as many pups as possible. As heart-wrenching images of the starving sea lions flood the media, the overall ecological imbalance in the Pacific Ocean is gaining attention. Though there is no one clear answer as to what is causing this recurring phenomenon, scientists are speculating that the warmer waters along the Pacific Coast caused by the Pacific Decadal Oscillation are to blame. The unusually warm waters are being attributed to weak winds to the north, however as to what is causing these uncommonly weak winds, “It’s a mystery,” stated leader of the Landscape Ecology Team at the Southwest Fisheries Science Center, Nathan Mantua, in the NOAA teleconference. The shoreline’s warm temperatures are not a conducive environment for the sea lion’s prey species, such as sardines, and it is suggested that these and other fish are swimming further out to sea to reach cooler waters. 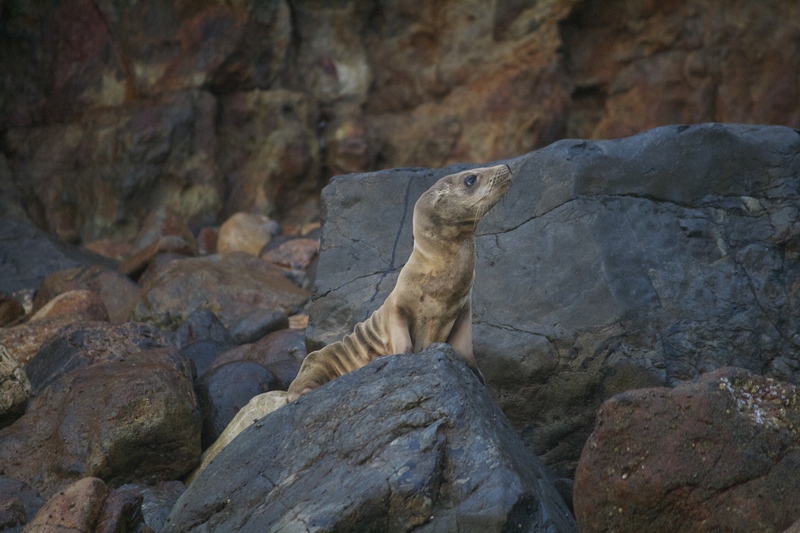 This in turn causes the sea lions to pursue their food sources well beyond the normal hunting grounds, leaving their pups behind for longer periods of time, as well as putting themselves at greater risk of predation. As the adult sea lions are taking longer to return to their young—if they return at all—the pups are prematurely attempting to fend for themselves in the face of starvation. Sea lions are generally used as a visual indicator of an oceanic environment’s health, and with the severity of the mammal’s current situation, great concern is being borne for the Pacific.